The California Department of Public Health (CDPH) confirmed Friday that the first West Nile virus of the year in Santa Barbara County. The infected man is now recovering at home after being released from a Santa Barbara County hospital, according to a CDPH statement. 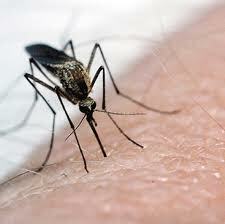 West Nile virus is most commonly transmitted to humans and animals by the bite of a mosquito harboring the virus. To date in 2011, health official detected West Nile virus in mosquito pools or dead birds in 14 other California counties. State health officials recommend that individuals prevent exposure to mosquito bites and West Nile virus by applying insect repellent containing DEET, picaradin, oil of lemon eucalyptus or IR3535; wearing clothing that protects against mosquito bites, installing and repairing screens to help keep out mosquitoes and eliminating standing waters where the insects lay their eggs. One case and already a pandemic mentality? BTW, this has been a problem for many years… however, be prepared for sticker shock if you get a ‘test’ for it… many thousands of dollars to add to discomfort of the disease.